Kajeet is now working with the country's four major 4G LTE wireless network carriers — AT&T, Sprint, T-Mobile and Verizon — to deliver affordable Internet to more students at home or on school buses. 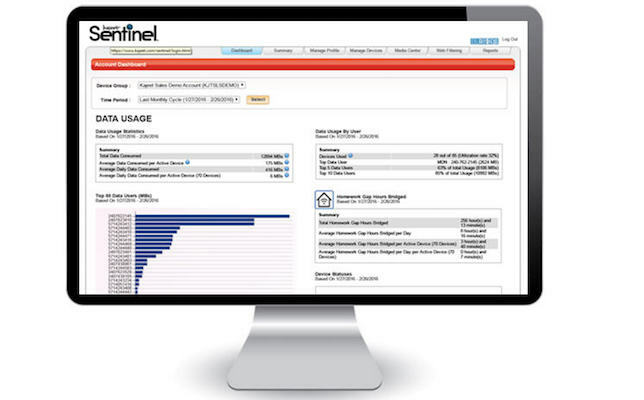 School administrators can utilize the Sentinel cloud portal to manage off-campus education broadband access anytime. Image: Kajeet. The wireless solutions company released Kajeet Education Broadband in 2013 to connect students to the Internet for educational purposes. Kajeet’s hardware, software and networking service is CIPA-compliant, with educational filters and policy controls that administrators can use to ensure students access only appropriate content, according to the company. The Kajeet Sentinel cloud portal, for instance, constantly categories URLs to filter out any non-educational content — denying access to 128 million non-educational websites each month. Sentinel can be combined with the company’s portable hotspot or school bus WiFi solutions. 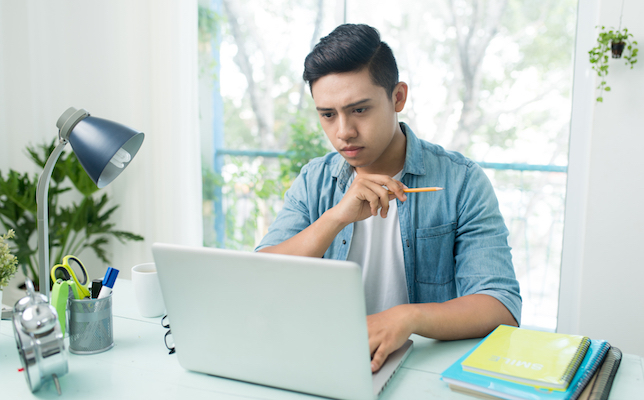 Last school year, the company reports that students used Kajeet Education Broadband to spend 2.5 million hours online for educational purposes. More information can be found on the Kajeet site.